Caring, sharing and friendship - that is what most programming is geared toward teaching our little ones on TreeHouse TV. That's why I don't mind when our youngest tunes in. There is always an uplifting and entertaining program with characters my kids have grown up watching and loving. 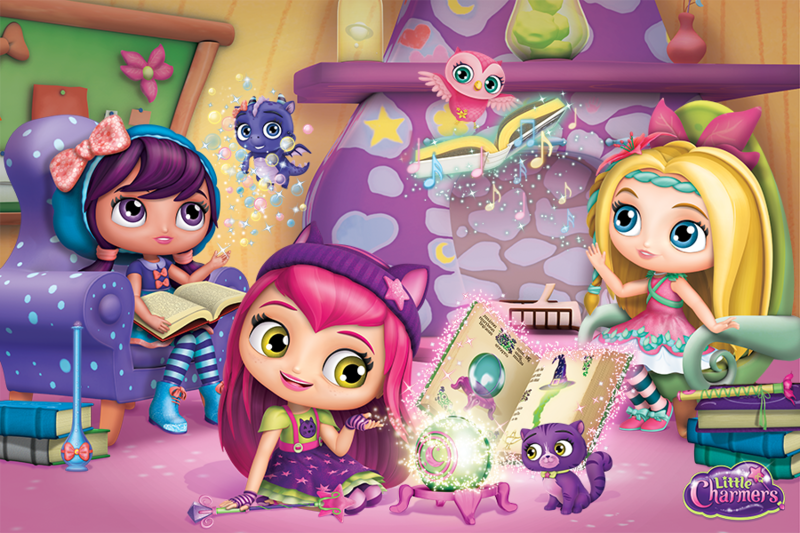 New to Treehouse TV comes Little Charmers - a fantastic new preschool series that celebrates the magic of friendship. I knew right away from the colourful, magical characters that this could be a family favourite from the start. Little Charmers takes place in Charmville, and stars Hazel, a fearless and spirited go-getter, who is on her way to becoming a full-fledged Charmer. Hazel can often be seen with her two best friends, Lavender, a sweet and musical "Spellerina" who can come up with spells for any occassion and Posie, a bright and feisty "Potionista" who knows how to stir up potions and put together hip fashions. These "Charmers-In-Training" embark on spellbinding adventures that always stir up funny situations, like turning the entire town into mushrooms or accidentally setting loose a herd of unicorns. Together, this inseparable trip use their imaginations and teamwork to fix magical mishaps and, along the way, learn the value of friendship. 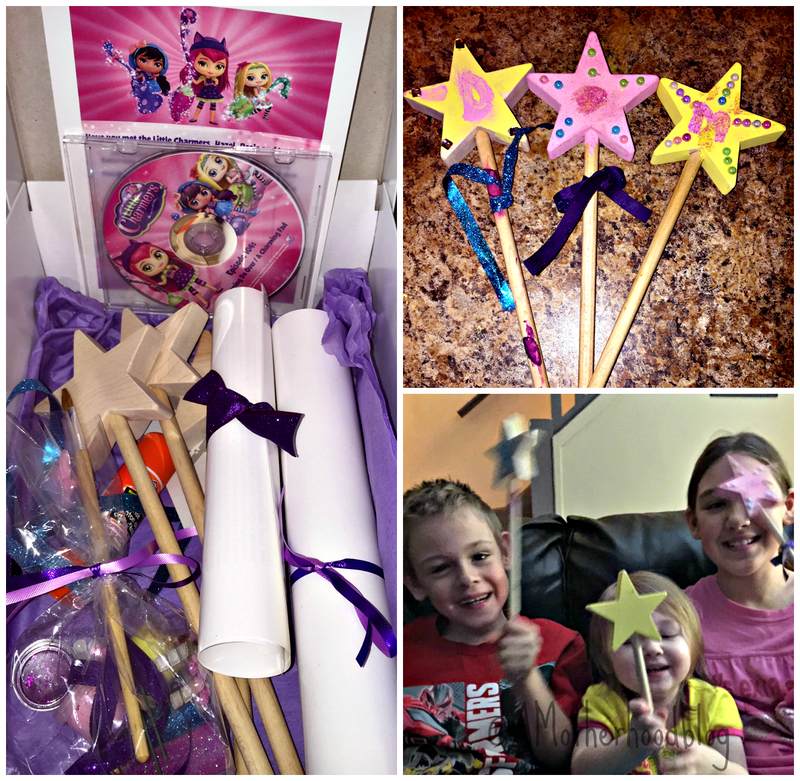 We were lucky enough to get a sneak peek at Little Charmers first few episodes and a cool craft kit to build their own wands. Although it is geared toward preschoolers all three of our kids aged 2, 6 and 10 enjoyed watching the show. They can't wait to check out the official television premiere! You can catch episodes of Little Charmers on Treehouse TV, Saturday's at 6:30pm EDT starting January 31st!! 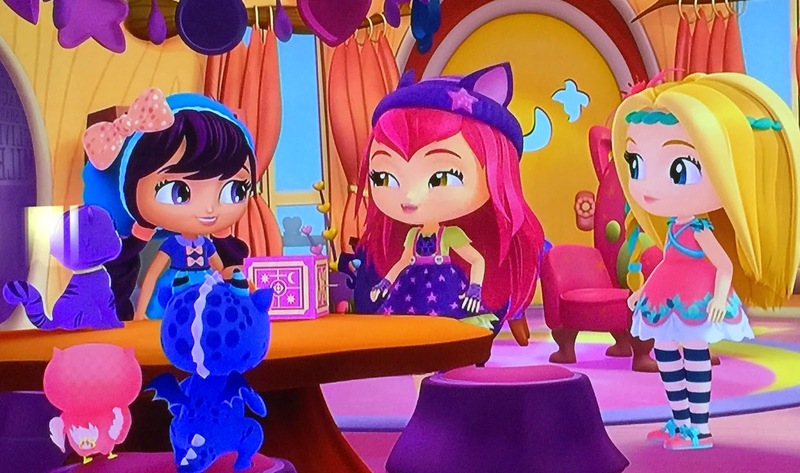 In the next few weeks you will be able to visit www.LittleCharmers.com to see clips of upcoming episodes as well as access themed printables, downloadables and information about the shows main characters and their pets! The website will also be rolling out brand new games and a Little Charmers app for everyone to enjoy! Follow along the fun on twitter with @TreehouseTV using hashtag #LittleCharmers! Sponsored by Corus Entertainment on behalf of Treehouse TV. Opinions and comments on this blog are those of the author. Thanks for sharing this news Alyssa! My youngest will want to see this series, and will want to wear one of her princess dresses to feel as though she is one of the Little Charmers!